Is Vodafone about to snap up Virgin Media? 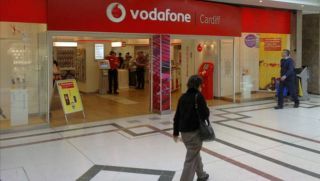 Vodafone has confirmed that it is currently talking with Liberty Global about a potential exchange of selected assets between the two companies but not a "combination of the two" entities. The most obvious of these assets would be quad-play player and BT/Sky archrival, Virgin Media, which was acquired by Liberty Global back in 2013 for £15 billion. "There is no certainty that any transaction will be agreed, nor is there certainty with respect to which assets will ultimately be involved", a spokesperson added. The confirmation came as rumours about such a deal became noisier over past few days. Shares of Vodafone have spiked, helping the company stock reach its highest price of the year before collapsing minutes earlier. Talks about a potential merger/acquisition/partnership between the two companies have been going strong since the end of last year with the CEOs of both firms dropping hints about that collaboration. The acquisition of EE by BT is likely to have been the catalyst of such a deal as it gives BT a competitive advantage over the rest of the market.